As ASEAN’s energy demand is likely to increase by almost two-thirds in the period up to 2040, the regional oil and gas resources in the offshore zones of the ASEAN member states will become even more important for enhancing the energy supply security of both the individual member states as well as for ASEAN as a whole. Accordingly, access to and political as well as physical control and security of these offshore energy resources will receive even more governmental attention. In context of China’s Belt and Road Initiative as well as South China Sea policies and its energy dimensions, they can fuel already existing maritime competition and conflicts in the South China Sea, the Bay of Bengal, the Indian Ocean and the interconnecting sea lanes and regional choke points. 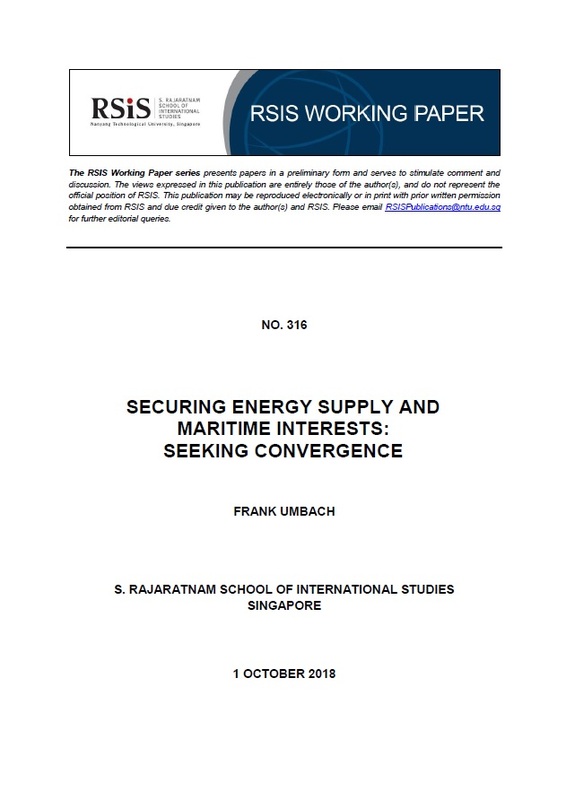 This paper analyses the question to what extent are energy security concepts and challenges are interlinked with maritime policies, particularly in regard to the unresolved overlapping claims in the South China Sea and the perceived intensifying naval competition in the Indian Ocean. It also highlights the strategic implications of ASEAN’s rising energy demand and growing exploitation of its offshore maritime energy resources for future regional cooperation, enhanced competition and potential strategic rivalries as well as conflicts.